The Dell Adamo XPS has been given a once over by What Laptop, with the team suggesting that ultra-thin, ultra-desirable laptop has to be seen to be believed. Dell's laptop certainly appears to be one for the posers and not the workers – with a battery life of just a couple of hours and a (likely) price tag that would make the average Apple fanboy cringe. But, when something's thinner than a CD jewel case, yet brings 4GB of RAM, a 1366x768 screen an Intel CULV processor and a 128GB solid state drive, you do at least have the kind of specs to be proud of. 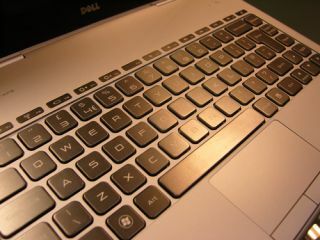 What Laptop's team were apparently impressed with the Dell Adamo XPS – liking the keyboard, appreciating the external DVD drive that comes bundled with every machine and reserving praise for the unique design, which angles the keyboard slightly. "Some might moan that for the price you don't get much for your money (we imagine you won't get much change from £1500), but that's to miss the point of this product which is aimed at those who have the cash to splash on a seriously nice piece of kit and are out to impress their friends and colleagues," summarised What Laptop – part of the TechRadar network. "We were very impressed by the Adamo XPS during our brief time with it. The size of the machine has to be seen to be believed and the build quality really is a cut above the rest."